You are here: Home / Programs / Which Version of Microsoft Excel Am I Using? 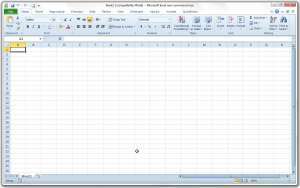 Which Version of Microsoft Excel Am I Using? 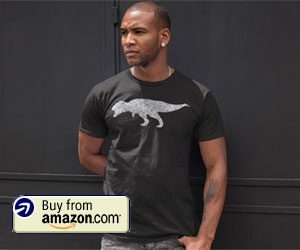 Are you trying to troubleshoot an issue that you are having in Microsoft Excel, but you aren’t sure which version you are using? 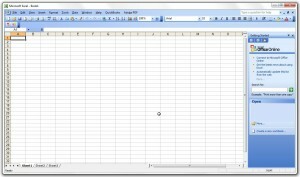 Whether you are using Microsoft Excel 2003, 2007, 2010 or 2013, there are some minor differences that you can check for which will help you identify the Excel version being used. 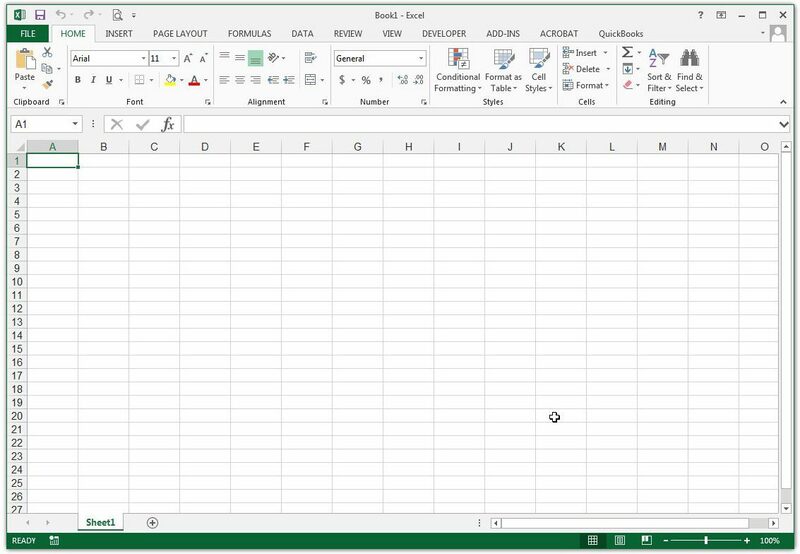 Note that there is a loading window that comes up whenever you launch any version of Microsoft Excel, and it will say the version on there as well. 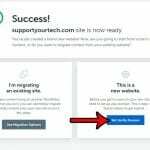 So even after you have checked the images below, if you still can’t figure out which version you are using, you should be able to tell by simply closing Excel and re-launching it. This one’s easy to identify. It is the only Excel version of the last 4 that still uses the menu bar at the top of the screen. 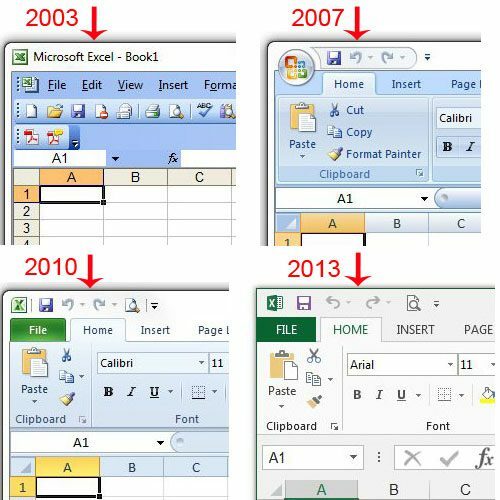 Excel 2007, 2010 and 2013 all use the ribbon at the top of the window for navigation, and tend to look very similar. You can tell that you are using 2007 instead of 2010 or 2013, however, because there is no File tab at the top-left corner of the window. 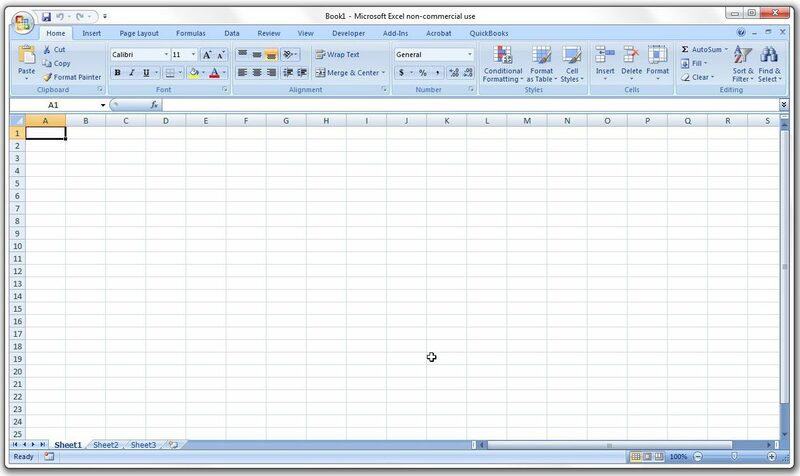 Any navigation in 2007 requires you to click the Office button at the top-left corner of the window. Excel 2010 and 2013 are the most similar of the four versions discussed in this article. 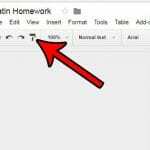 You can identify Excel 2010, however, by its’ use of lowercase letters in the tabs above the navigational ribbon (Home, Insert, Page Layout, etc). 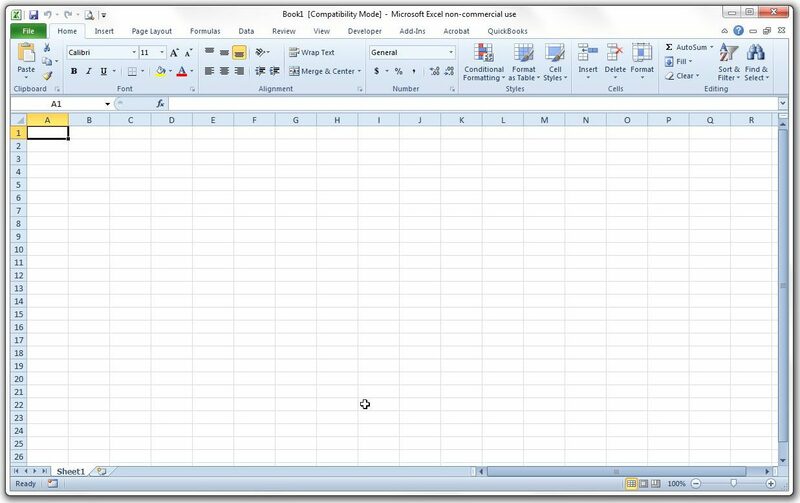 Excel 2013 can be identified by the fact that it has a File tab, and that it uses capital letters on the tabs above the navigational ribbon. Different Excel versions may have varying physical appearances, but they all have many features in common. 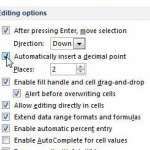 One of these features is the ability to create formulas. 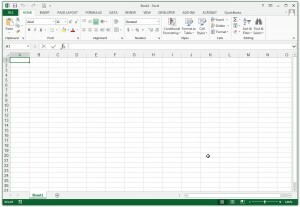 Learn about formulas in Excel 2013 and unlock some of the more powerful things of which Microsoft Excel is capable.